Fred Lamar and his grandson Cam Dedman are best buddies. They love spending time together, traveling and talking about their love for classic cars. 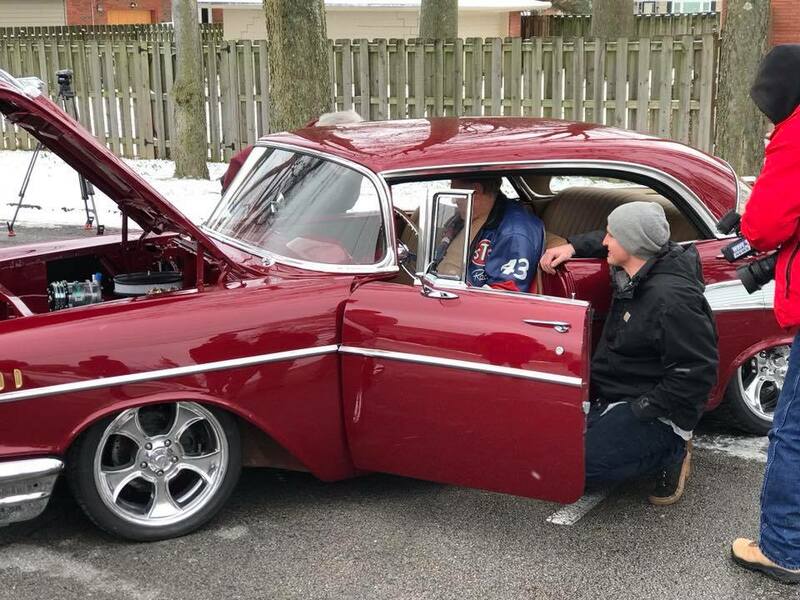 So, Cam knew how happy his grandfather would be if he restored his 1957 Chevy Bel Air which Fred bought when he was 28-years-old. 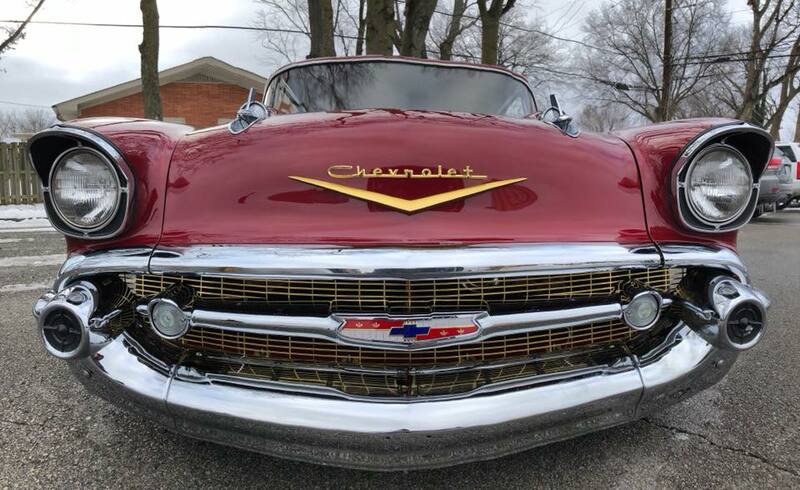 “I have been doing a full frame off restoration of this car as a big surprise for Papa/my grandpa (Fred Lamar). 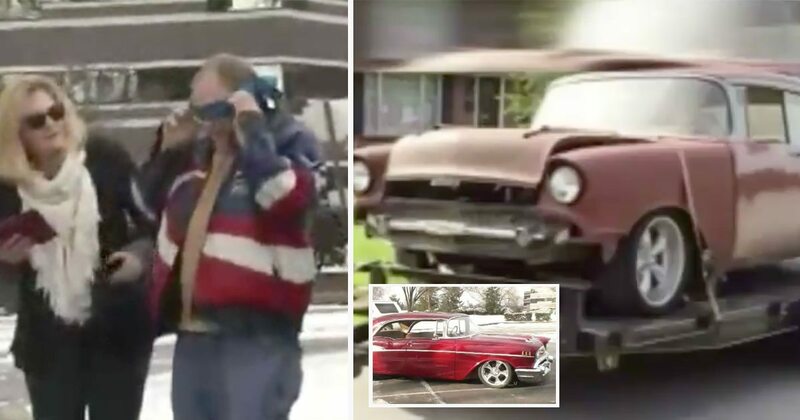 The car has been setting in his garage since 1976,” Cam wrote on Facebook. And the restoration was no easy task. Cam took countless hours and even sold his own car just to pay for the parts. And Cam’s surprise paid off, big time. 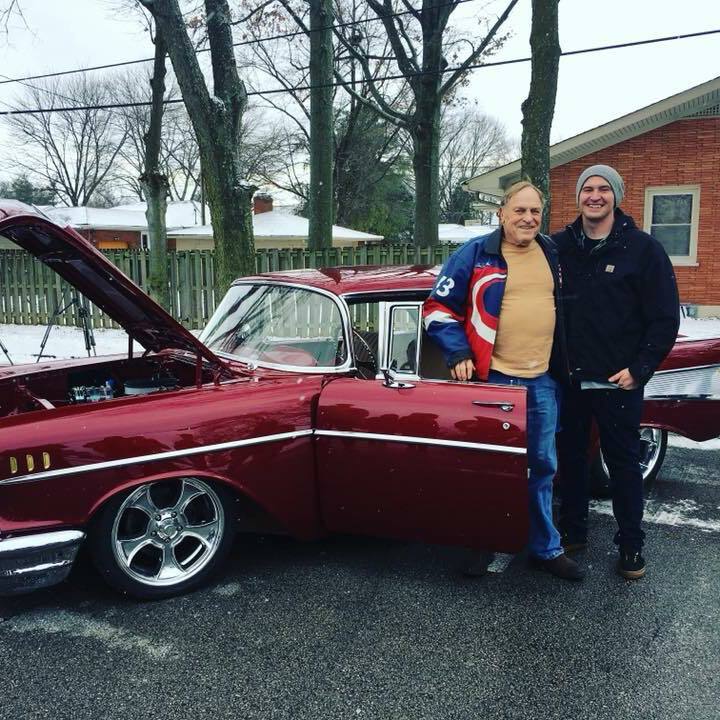 His grandfather was thrilled and in tears when he laid his eyes on that car. They blindfolded Fred to make it a big surprise. He nearly fell backward when he pulled that blindfold off. It was a birthday present that he’ll never forget. He just started to cry with his hand on his face and hugged his grandson. Everyone else was in tears too! Cam restored the whole frame as well as the interior and under body. He also built a custom exhaust, rewired the car with new wiring, put in a stereo, added vintage AC, new breaks, and new suspension among lots of other upgrades. Cam posted pictures and videos of the restored car on Facebook and the post ended up going viral. Cam says he hopes to pursue his dream of opening a car restoration shop. You can watch a video of Cam’s big reveal in the video below.